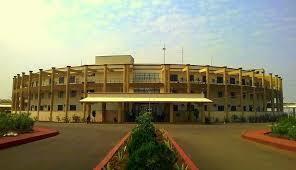 Hidayatullah National Law University (HNLU) is an autonomous law university in New Raipur, Chhattisgarh, India. The University is named after the former Chief Justice of India, Justice Mohammad Hidayatullah. It is one of the National Law Schools established in India being sixth in the series of such national law schools. It was established as a centre for legal excellence by the Government of Chhattisgarh under the Hidayatullah National University of Law, Chhattisgarh, Act (Act No.10 of 2003). The university offers a B.A.LL.B. (Hons.) integrated Programme, an L.L.M. Programme, and PhD Course. It is a residential university and is affiliated to and receives central assistance from the University Grants Commission and is recognised by the Bar Council of India. Admissions to Undergraduate and courses is made on the basis of merit as assessed through Common Law Admission Test (CLAT). The University follows a semester system in its Undergraduate Program, with the students studying a total of 56 Papers in 5 Years. The University earlier had a system of students declaring a major (Political Science, Sociology or Economics) but currently it offers a single major, Political Science. In the 4th & 5th Year, students have to choose two Honors papers. All students are also required to study 6 Optional papers during their 4th & 5th year. Hidayatullah National Law University was ranked seventh in India by Outlook India‘s ‘Top 25 Law Colleges in 2017’. You will get to know more about HNLU on their official website HERE.